08 AMBIANCES - GRANDE GARE - AMBIANCE GENERALE 2:39 Electric luggage trolleys honking in bg. No voices. 09 AMBIANCES - GARE : QUAI - MOTRICE AU RALENTI - 1:27 Electric luggage trolley passes by and honks. No voices. 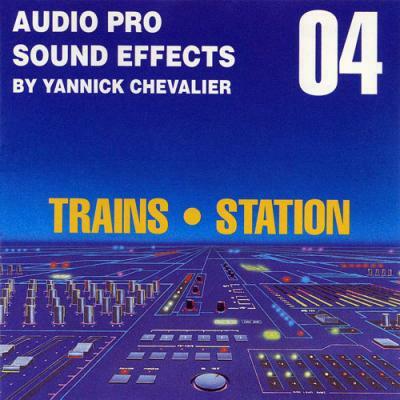 24 TRAINS - QUAI : DEPART - G>D - 1:33 No locomotive sound. 29 GARE - H.P. : ANNONCE DE DEPART TGV FR - UK & IT - FEMME - 0:47 "Attention sur voie C le TGV va partir"
33 GARE - H.P. : ANNONCE DE DEPART EN FR - VOIX D'HOMME 0:15 "...sur voie 5 attention au depart..."
36 GARE - H.P. : ANNONCE D'ARRIVEE & INFORMATIONS UK - FEMME ACCENT FR 0:33 "TGV arrival in Paris..."
45 TRAINS - INTERIEUR : DEPART - SIFFLET - PORTE / ACCELERATION 1:07 Rails and track noise.